I will be experimenting with an approach based on a new feature of OBIEE 12c: the ability to have a JDBC/JNDI based data source in the repository; unfortunately documentation about this feature is limited. The goal of this post is to document the main steps for connecting to Apache Drill via the new JDBC/JNDI interface in OBIEE 12c. One of the advantages of JDBC over ODBC is that there is no need to install and configure client drivers a step that can be tricky especially in *nix systems. Import the data source metadata and start building stuff! Note that for this experiment, I will be using the MapR sandbox already configured with Apache Drill among other tools. and restart the managed server. Specify a name for the new JDBC data source, a JNDI name, set the database type drop-down to “Other” then click Next/Next. In later steps, we will provide connection details for the database. to find out the cluster-id, take a look at the configuration file for running Apache Drill in cluster mode: drill-override.conf (see screenshot below). In my current setup, I am pointing to the MapR Apache Drill sandbox. Now that the JNDI data source has been successfully loaded into the Administration Tool, we can create a new database and a connection pool in the OBIEE physical layer. We now need to update of the database feature IDENTIFIER_QUOTE_CHAR from the default double quotation mark ( “ ) to a back tick ( `) as required by Apache Drill. The JNDI data source created in WebLogic points to the “hive” schema. A new physical catalog “DRILL” is created along with a physical schema “hive.default”, the schema contains one table “orders”. Create a simple “Business Model” and analysis et voila! 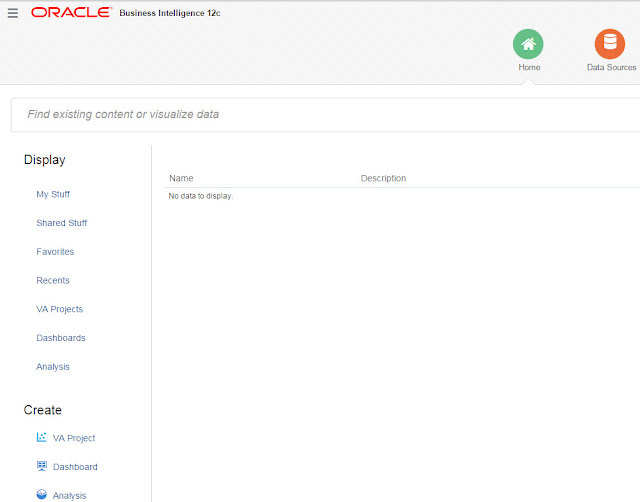 Being able to import a JDBC data source into the OBIEE Administration Tool is a very powerful capability that will make it possible to import new types of data sources into OBIEE and perform analyses, I will be exploring new JDBC based data sources in the near future. The purpose of this post is to document at a high level the steps while I am going through the installation using the provided orchestration script. My OS is Microsoft Windows Server 2008 R2. This post will cover the software staging, scripts modifications and install. 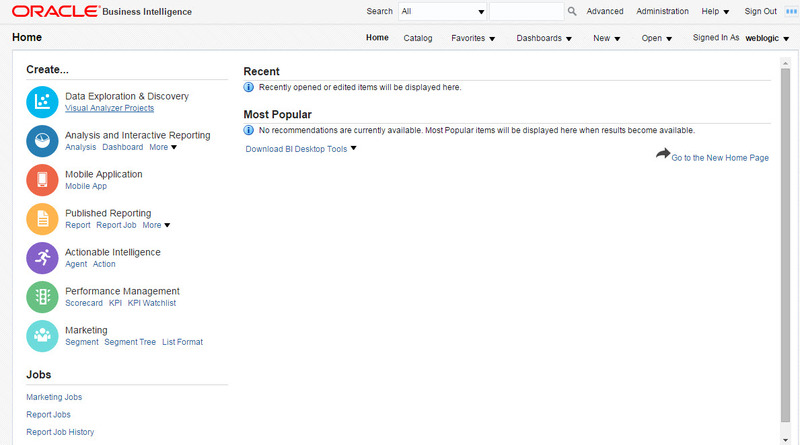 A future post will cover the OEID Integrator installation and sample data load and new features. The software package is available from Oracle Software Delivery Cloud. You’ll notice also the media pack V40522-01 (IKM SQL to Endeca Server for integrating with ODI) which is pretty exciting. JDK version 6 is also a pre-requisite for the OEID 3.1 installation, I will be using JDK1.6.0_43. 8) Rename V29673-01 to ofm_appdev_generic_11.1.1.6.0_disk1_1of1.zip, that’s the name expected by the installation script and move it to C:\stage\eidOrch\installers. Note that you can download ofm_appdev_generic_11.1.1.6.0_disk1_1of1.zip from OTN. Following are screenshots property files, note that JAVA_HOME, ORACLE_HOME and INSTALLER_LOCATION are the main parameters that have to be adjusted based on your local settings. You also have the option to set additional parameters such as START_MODE, USE_SSL etc… One notable parameter for the Endeca_Server, Endeca_Studio and Endeca Provisioning product property files is INSTALL_MODE. This parameters specifies whether we’re performing an install only or an install followed by configuration. There are additional values to specify that there is an existing middleware installation. Refer to the documentation for more details. Note that this install will be NON-SSL, if using SSL ports, there are additional setting to be changed on the property files. and watch the installation in progress. You will be prompted to enter parameters such Admin usernames/passwords (you can potentially modify the scripts to automate this step). At the end, you’ll have the Endeca Server, Endeca Studio, Endeca Provisioning fully installed/configured and up and running in no time! A much smoother install process for OEID 3.1 indeed! In my previous post I showed the majors steps for creating a simple Gantt Chart in BI-Publisher using the JFreeCharts API. The purpose of this post is to provide the technical details of the implementation. * (C) Copyright 2000-2003, by Object Refinery Limited and Contributors. Log into to BI Publisher and “Change the Disable external references” flag to “False”, it is “True” by default. Create a new BIP report using this RTF template and the previous data model. Run your report, if all goes well: ta-da! An overlooked feature of BI-Publisher is the ability to create custom extensions in Java in order to add capabilities beyond the out of the box features. Tim Dexter blogged about this undocumented feature several years ago. 1) Create the BIP data model: as an example I used the sample Gantt data set from the amis website. 2) Create the BIP extension code in Java, I used Tim Dexter’s example as a starting point. I plan on sharing the custom code once I get a chance to clean it up. 6) Upload your RTF template, bounce the services and voila! Pretty basic but the look and feel of this can be greatly improved by tweaking the JFreeChart API.